Well one thing you have always got to give DC credit for is they are willing to give everything a shot with their gaming properties. From action titles like Superman 64 and Aquaman (which let’s be honest meant that they could only go up from there) to DC Universe Online and the upcoming Injustice: Gods Among Us, they seem to have no problem trying to figure out which genre their games fit into best. Now, less than a month before the release of Injustice: Gods Among Us, they have announced that they are stepping into the Multiplayer Online Battle Arena with Infinite Crisis for the PC. 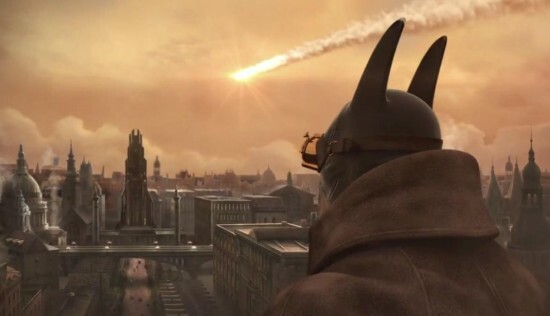 As you’ll see in the trailer below, Infinite Crisis isn’t your ordinary DC game. With alternate worlds and the ability to control both heroes and villains, Infinite Crisis is going to lend itself to some creative matchups and hopefully and even more creative art style. Batman, Flash, Wonder Woman, Green Lantern, Zatanna and alternate versions of themselves will face off against the likes of the Joker, Doomsday, Poison Ivy and their dopplegangers in a five on five MOBA style game. I mean, it was a good fit for Lord of the Rings so why not have DC make a go at it as well? Can a ‘Justice League’ Movie Top ‘The Avengers’? Ten years ago if you told me the Avengers would be one of the highest grossing films of all time, I don’t think I would have believed you. Even when Marvel Studios started pushing out the solo films that would introduce the cast of the Avengers, most people would ask me (being their “comic book” friend) who Captain America, Thor and Iron Man were. For the most part, people knew who the Hulk was because of the cheesy television series and on occasion had at least heard of one of the other members of the team, but if you had asked them if it was a film they were going to be excited to see, most would probably have passed at the opportunity. Conversely, a decade ago if you had talked to people about a Justice League movie, you probably would have gotten a much higher positive response rate. Just from DC’s Big 3 of Superman, Wonder Woman and Batman (even before the Christopher Nolan series of films), people would have cared about the series. Fond memories of Christopher Reeves as the Man of Steel and any of the previous Batman movies were still acceptable enough to get people behind the idea of seeing them all together in one movie. But now, it’s a very different story if someone was going to try to put together a Justice League team movie. The previous two Nolan Batman films have used the sprawling metropolis of Chicago to fill in for the fictional Gotham City. Chicago was a fine stand in and only required a few CGI touch up shots to sell it as another city. Despite the success of filming in Chicago in the past, The Dark Knight Rises has been searching for a new stand in city for quite a while. Now, according to the Pittsburgh Post-Gazette, the Steel City has now been chosen to represent Gotham. Now obviously this was done for financial and cinematic reasons, but I suspect something else might have played a part in choosing this new city. You see, the local NHL franchise is the Pittsburgh Penguins, so perhaps Nolan is secretly planning on using Mr. Cobblepot in the movie, and filming in Pittsburgh is a clever clue to us vigilante fan boys! Yes, it just makes to much sense. Or at least that is what I think I am supposed to say. You are required to put dumb and obviously false speculation at the end of every The Dark Knight Rises story, right?